Hello, Katie, and welcome to Sab The Book Eater! I really love your book and I appreciate you taking the time to drop by despite your busy schedule. Speaking of which, aside from being a writer you also work in fashion and on TV. What is your schedule like? How does writing fit into all of it? I write in two to three-hour chunks throughout the day. The first bit happens in the very early morning around 6 am. Then I write around lunchtime, and again later at night. I find I’m the most fresh if I take breaks. I leave any jewelry-making until the night and weekends. And TV is very sporadic. I can go months without doing any television work. I love all of them, but writing is my favorite of the three jobs. So I’m lucky that writing takes up the bulk of my working hours! 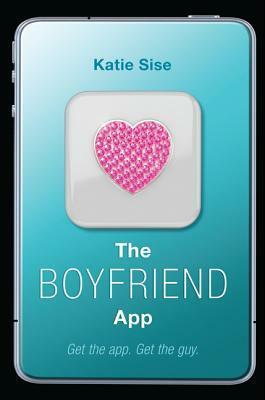 The Boyfriend App has a very original concept – that alone won me over. How did you come up with something like that? The Boyfriend App was the product of many brainstorming sessions with Brenda Bowen and my agent, Dan Mandel. We all loved the idea of pushing the envelope and creating a world where this very scandalous, secret technology could exist…and then seeing what would happen if you let a seventeen-year-old girl uncover that secret. What was the first scene you wrote for The Boyfriend App? The first scene I wrote is actually the first scene in the book! That doesn’t usually happen, but this time it did! I wanted to open during a high-stakes scene. Here’s a fun insider’s scoop: the rabbit’s foot that sets everything into motion in that very first scene actually started out as a dental retainer. My editor, Alessandra, gently said, “Katie, maybe that doesn’t need to be a retainer.” And I’m so glad she did, because the rabbit’s foot ended up being a very meaningful set piece throughout the book. It took a while for me to get used to the techy parts of the book but once I got a hang of it, I actually enjoyed it. I know you must get asked this a lot but I’m very curious and I also want to share your answer with my readers: what was it like writing those parts? Knowing that I would have to tackle those parts was the one thing that made me nervous about writing the book. So when I wrote the first draft, I would write “TK TECH” every time I knew I wanted to describe something I didn’t understand. And then I got lucky. I was talking about the book with my friend Kristen Scalia, and she said, “You have to meet my brother.” Her brother Jason happens to be an IT professional, and he coached me through almost everything you see in the book. He made computers exciting. He was able to break it down in a way that I could understand. When it came to app-building, I was helped by Noah Harlan and Brian Morrison. I was very lucky to have these computer minds ready and willing to help! Here’s a confession: I gushed like a little girl over every scene that involved Audrey and Aidan. What was the inspiration behind those two? Did you always know they’d be together or did you ever consider someone else (like, I don’t know, Xander) for Audrey? I’m so glad you love Audrey and Aidan! I do too. I always knew they’d end up together in the end, but one big change the book underwent in revision was to make Aidan “the one” from the very start of the book. So instead of making it a slow journey for Audrey’s realization that she and Aidan are meant for each other, I went back and opened the book with her feelings very strong for him, even if she feels like she has to keep them hidden. I’ve got to say The Boyfriend App has some of the most despicable villains I’ve ever read about. Oh they got my blood boiling alright! I almost think you enjoy torturing Audrey. *narrows eyes* Hah, just kidding. But seriously though, how did you come up with the brilliant antagonists in the book? Are you a big app user yourself? Wow that is ironic! Okay but if you could download any (go crazy!) app you want, what would it be and why would you choose it? I’d download an app that could pick the perfect book based on my mood. Like a mood ring for reading! Katie will be going on TOUR with Sara Shepard and Sarah Strohmeyer! Katie Sise is an author, jewelry designer, and television host. Lucky magazine has called her a "Designer to Watch," and her company has appeared in most major fashion magazines, including Vogue, W, Elle, Self, and many more. Katie is also the author of Creative Girl: The Ultimate Guide for Turning Talent and Creativity into a Real Career. 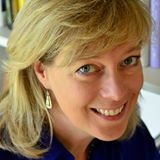 Sarah Strohmeyer is a bestselling and award-winning novelist whose books include The Cinderella Pact (which was made into a Lifetime Original Movie called Lying To Be Perfect), The Sleeping Beauty Proposal, The Secret Lives of Fortunate Wives, Sweet Love, and the Bubbles mystery series. Her writing has appeared in numerous publications, including the Plain Dealer and the Boston Globe. She lives with her family outside Montpelier, Vermont. This is her first novel for teens. Sara Shepard is the author of two New York Times bestselling series, Pretty Little Liars and The Lying Game. 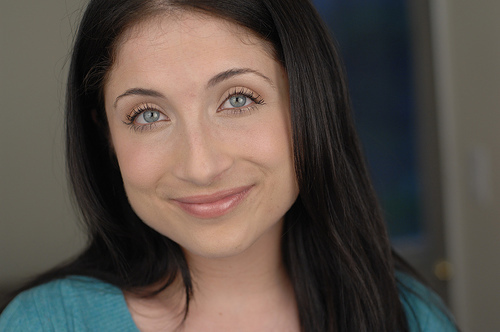 She graduated from New York University and has an MFA from Brooklyn College. Sara's Pretty Little Liars novels were inspired by her upbringing in Philadelphia's Main Line. The app that keeps track of my kids! An app that would send me chocolate for free every time I really craved some! Ohh I want that too, Heather! I'd create an app that would give me all the details about movies I'd like to see and books I'd totally love, without needing to search for it, that would be awesome! I'd create app to track your crush! Stalker app. I want that LOL Love it! lol, yeah. It's gonna be awesome. I'd create an app that would do the tasks at work that I hate to do! A JARVIS app (like in Iron Man), with a special version that can project 3-D simulation holograms from the screen. Oooh. How 'bout an app that projects eBooks on the ceiling and turns to the next page when you say so? Haha. That way, it'll be easier to read when I'm in bed. lol. Holy cow I love this one! Good one, Faith! I would love an app that could do my Worksheets for me, while I could read some more! Ohhhh I'd love to have this. An app that would tell me what book to read that suits my mood. :D Thanks! An app o generate new nail polish colors.